Imogen's Typewriter. 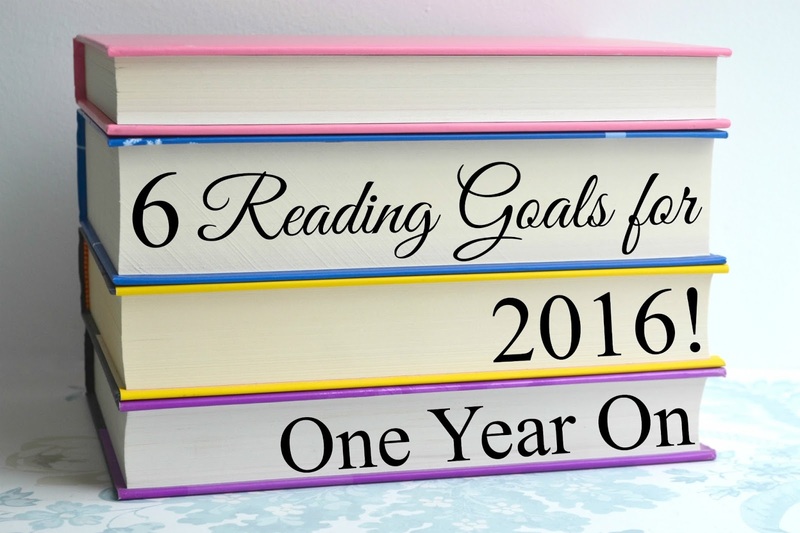 : 6 Reading Goals for 2016: One Year On! It has been exactly one year since I posted up my 6 reading goals that I had for 2016 (I love when that happens), and I thought before I put up my 7 for 2017, that I'd go over how I did last year. I did a how-I'm-doing at the 6 month mark but quite a bit has changed since then on some of these goals. Some I did good on, some I didn't. Much like my 2017 life goals, my reading goals are going to get a shake-up this year because somethin' ain't workin'. Although I read it in audiobook form, American Gods by Neil Gaiman translates into 635 pages so I'm counting this one. Also, not a huge amount of books are 600+ pages! My copy of The Fellowship of the Ring is only 530. I'm counting this as a success but not one that was much enjoyed, American Gods wasn't my jam. This is a recurring goal and a bit of a recurring failure for me. Although maybe less so this year? I read Dr Faustus by Christopher Marlow, The Burial at Thebes by Seamus Heaney (Antigone by Sophocles) although they were both required reading. And I'm counting The Fellowship of the Ring by J.R.R. Tolkien too. I'd like it to be a longer list next year though. Eh. Okay, not really. Although I have a new outlook in 2017 about replacing things I've grown out of and this definitely includes some of the books on my shelf. Some of the unhealthy-perspectives-teenage-girl-drama needs to go. Not even close! Apart from finishing the Harper Connolly series in August, which I started in April, I didn't finish a single series. Although, I did give up on a lot of series. It was time to finally admit that I'm never going to finish the Princess Diaries series, for example. My number-loving heart is pleased with the 61 books I read. But, if I'm honest with myself, I'm a little sad that I didn't do as well as I did in 2015 when I read 80. That's why I made an honest-to-goodness Goodreads challenge this year. But more on that, on Friday when I'm talking about my 7 reading goals for 2017! Did you set reading goals for 2016? How did you do?